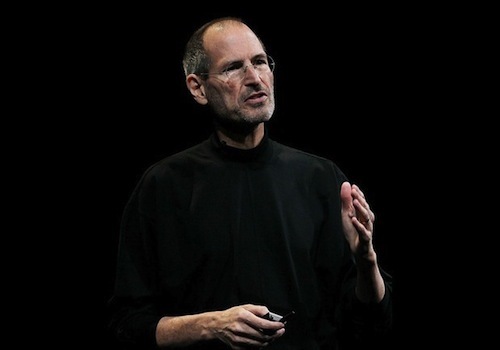 Early last week, Steve Jobs announced that he was once again taking a medical leave of absence from Apple. The news has been met with understandable concern about his future at the company, and resulted in many a "look back" at Apple over the years. One particularly insightful article is this Newsweek article interviewing Steve Jobs back in 1985 shortly after his ousting from Apple. It's interesting to see how his views and attitudes about product design hasn't changed much in 25 years. Steve Jobs co-founded Apple Computer in 1976 and led the Macintosh team in the early 80s, but in 1985, he was forced out of the company after an internal power struggle with John Sculley, the Apple CEO at the time. This interview was held shortly after he had departed Apple. What I'm best at doing is finding a group of talented people and making things with them. I respect the direction that Apple is going in. But for me personally, you know, I want to make things. And if there's no place for me to make things there, then I'll do what I did twice before. I'll make my own place. You know, I did it in the garage when Apple started, and I did it in the metaphorical garage when Mac started. He rejected offers to be a professor at the time and said he wasn't ready to be an industry pundit. Jobs went on to found NeXT computer company which was later purchased by Apple in 1996 and its operating system used as the basis for Mac OS X. He also acquired the computer graphics division of Lucasfilm which became Pixar Animation Studios. Pixar, of course, was ultimately acquired by Disney after years of commercial success. After Jobs' return to Apple in 1996, he's widely credited for returning Apple to profitability and the launch of many notable products including Mac OS X, the iMac, iPod, iPhone and most recently, the iPad. My philosophy is that everything starts with a great product. So, you know, I obviously believed in listening to customers, but customers can't tell you about the next breakthrough that's going to happen next year that's going to change the whole industry. So you have to listen very carefully. But then you have to go and sort of stow away -- you have to go hide away with people that really understand the technology, but also really care about the customers, and dream up this next breakthrough. And that's my perspective, that everything starts with a great product. Jobs has echoed this sentiment in recent years including citing a quote from Henry Ford which was "If I'd have asked my customers what they wanted, they would have told me 'A faster horse.'" In his letter to Apple employees, Jobs hopes to be back at Apple as soon as he can. 'Haha'?? Sorry, I don't get the joke. And I don't think you get the wisdom Steve was sharing. A good leader doesn't just give the majority whatever they say they want. That's not a good leader. That's an insecure politician with no vision and no convictions. A real leader listens to other people, takes all things into consideration, and then makes what they believe is the best decision. To have the vision to make decisions that pave the way forward, instead of just patching the status-quo, is what separates the great leaders from the mediocre ones. I don't like everything Apple does, but I will give credit where credit is due. Anyone who can't see the way Apple (under Jobs' leadership) has innovated to move the whole industry forward is blind — either out of honest ignorance, or out of not so honest anti-Apple zealotry. Edit: Perhaps I should balance that comment by saying, I do think Apple tends more towards a 'one size fits all' approach than I would like — like when they took away our choice to have a true matt display. Good design acknowledges that people are all different and enjoy a certain amount of choice. I'm not talking about the kind of choice Microsoft gives Windows users, with umpteen confusing varieties of Windows to choose from — but simple, practical choices like matt over gloss, or watching DVDs and free-to-air over living entirely within the iTunes ecosystem. It's about knowing the difference between leaving the past behind, and leaving your customers legitimate needs and preference behind. It's about knowing which decisions are best made on behalf of the user, and which choices the user would rather make for themselves. Perhaps the most legitimate concern people have with Steve and Apple, is whether there's a conflict of interests between the needs of customers and shareholders. Steve wears two hats: he works with a team to create great products, but he also runs a profit-making company. I sincerely hope he (and Apple) never forget what made them great in the first place. Wow. Kudos. Well said. The veritable nutshell, I would have to say. Very succinct. I don't believe any further discussion is necessary.